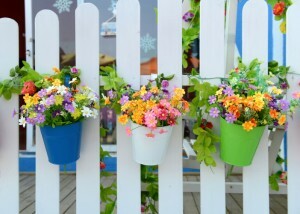 Adding some color is a great way to make your fence unique! Picking the right fence for your home involves many different decisions, from the material, to the color, to the additional security features you can add. While many of those decisions seem pretty cookie-cutter, there are many different ways that you can make your fence stand out from others on the block. Here are three of our favorite ways to make your fence unique. While many homeowners install fences to help keep animals out of their yard, others love to see wildlife roaming around. Attracting birds and bats to your yard is easy with a sturdy fence and the right equipment. Purchase bird houses or gather hollowed out gourds to hang along the length of your fence as nests. If you hang or install many houses next to each other, you could even attract a colony. Bat houses are another way to encourage good wildlife to hang around your home. Bats will eat mosquitos roaming around your yard and help eat the garden pests that wreak havoc on your tomatoes every year. Most people think of landscaping as encompassing all of the things planted in their yard, but many don’t realize that you can have landscaping on your fence too. 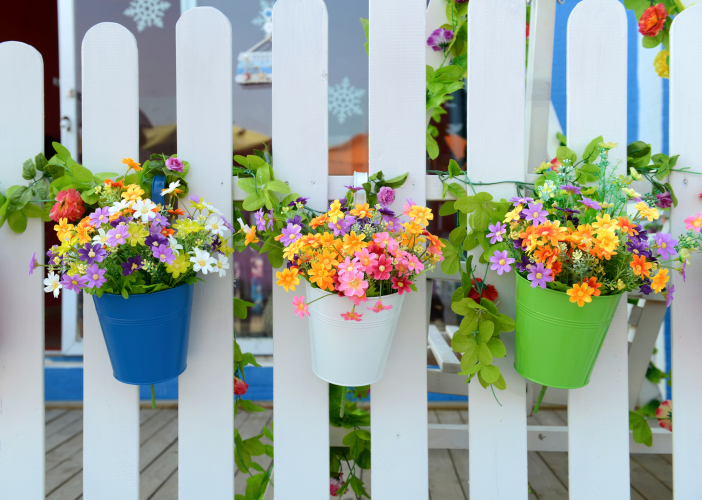 You can add trellises, unique climbing vines, vertical planters, or hanging baskets to your fence to add pops of color and a lot of beauty. If you love to enjoy time in your yard after dark but struggle to find enough light from the small candles you own, transform your fence into a backyard light. Choose from the unique fairy lights in stores today or more traditional strings of light. These will draw bugs away from you and let you fully enjoy your backyard space. This entry was posted on Friday, February 17th, 2017 at 7:43 pm. Both comments and pings are currently closed.